In this Apache Kafka certification course, you will learn to master the architecture, installation, configuration and interfaces of Kafka open-source messaging. With this Kafka training, you will learn the basics of Apache ZooKeeper as a centralized service and develop the skills to deploy Kafka for real-time messaging. The course is part of the Big Data Hadoop Architect master’s program and is recommended for developers and analytics professionals who wish to advance their expertise. The Apache Kafka course offered by Simplilearn is a key requirement for those aspiring to become Big Data Hadoop architects. Apache Kafka is an open-source stream processing platform and a high-performance real-time messaging system that can process millions of messages per second. It provides a distributed and partitioned messaging system that is highly fault tolerant. This Kafka Training course will guide participants through Kafka architecture, installation, interfaces and configuration on their way to learning the advanced concepts of Big Data. Why is this course so desirable? Apache Kafka is the preferred messaging platform for processing Big Data in real-time and fast processing of real-time message feeds. Kafka was initially developed at LinkedIn to process millions of messages per second and later became a part of the Apache open-source projects. It is a highly scalable and fault-tolerant messaging system with petabyte scale message processing in real-time. The Apache Kafka professionals can demonstrate their expertise in the fast-growing big data industry. Trained Apache Kafka professionals are experienced in tools used to process huge amounts of data, empowering their organizations to better leverage Big Data analytics. What are the career benefits of Kafka certification? Apache Kafka is one among the top ten fastest growing, in-demand technical skills. The Apache Kafka certification helps IT professionals establish themselves as experts in the field of Big Data, and certified professionals typically earn higher salaries than their non-certified peers. Certified professionals can pursue new career paths such as senior software professional, IT consultant, lead software professional and Big Data professional. 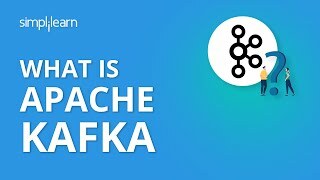 Who should take this Apache Kafka course? 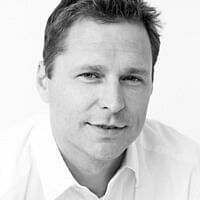 What are the prerequisites for the Apache Kafka course? Yes! You can cancel your enrollment. We will provide you a complete refund after deducting the administration fee. To know more, please go through our Refund Policy.